Going larger! 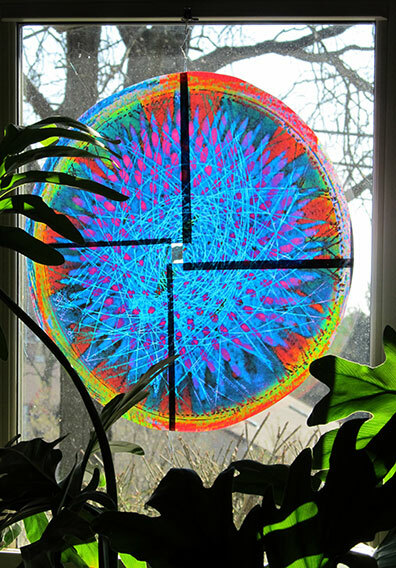 This e*graphic construction is made from four sections, sewn together to make a window-filling 18″ circle. It’s a real hit of color, even on a cloudy day.